The IPortable interface will allow the users of your module to develop content on a development server and easily deploy this content to a production server. You will want to implement this interface in practically every module you create no matter how simple it is. The good news is that this task is very easy to do and does not require advanced programming or a significant amount of time. Let's say you have a development server at your company and you created a survey using the Survey module (using the 04.00.00 or higher version. A link to the Beta is available at the end of this article). The first thing you need to do is indicate a business controller class in the module definition for your module (If you have already started working on your module and you neglected to do this step initially you will have to delete the module definition and recreate it). Visual Studio then automatically adds the two stub methods. When the users of your module selects Export Content, the DotNetNuke framework will call the ExportModule method that you create and pass it a ModuleID parameter. It is expecting your method to return an .xml formatted response as a String data type. 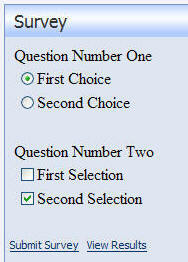 When implementing this for the Survey module I can see that the Surveys are contained in the Surveys table, but the options (for example "First Choice") are contained in the SurveyOptions table. 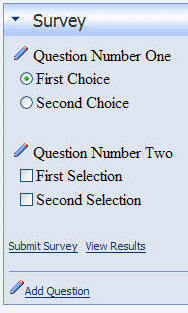 For each Survey in the Surveys table, I will need to export the matching options for that survey in the SurveyOptions table. Another thing to notice is that while the primary key for the Surveys table is SurveyID, the field that is important right now is the ModuleID field. In the DotNetNuke architecture the ModuleID is an important parameter. A ModuleID represents a single instance of a module and is used to segment the data for each instance of that module in the database. A ModuleID is unique across all portals in a DotNetNuke installation. When the users of your module select Import Content, the DotNetNuke framework will call the ImportModule method that you create and pass it a ModuleID parameter and a Content parameter as well as Version and UserID. It expects your controller class to process the contents of the Content parameter which has a string data type. The Content parameter will contain the data in the form of the sample above. Your ImportModule method will not return anything. 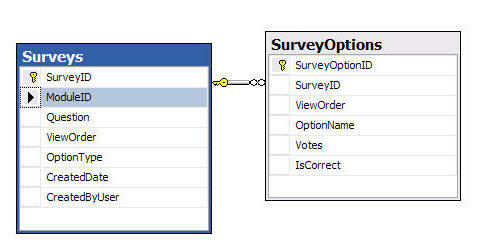 Your method will usually just insert the data passed to in in the Content parameter into the database. 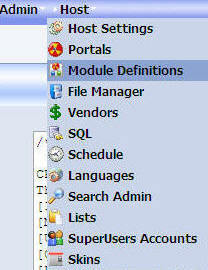 Now, return to the module definition you created and click the Update link. The Portable feature will now have check box. It is not a lot of code, yet the functionality that this creates for the end user is significant. Hopefully you will find this example helpful because if you examine the code you will see that I had to insert a survey, retrieve the SurveyID and then use that SurveyID when inserting the matching survey options. This interface represents another example of why you would choose to use the DotNetNuke framework for a project rather than coding the project completely from scratch. By simply creating two simple methods you can provide your project with a process to move content between servers. Unlike the sometimes awkward and error prone methods of direct data transfer, you will have .xml files that can be easily backed up and versioned. Most importantly the data is separated from the content (for example the survey results are not exported just the surveys). In addition you have complete control over what defines content. The Survey code covered above is BETA and has not been released. You can download the code using this link. Before you upload it to an existing DNN4 site you have to remove these two assemblies from the "\bin" directory of your existing DNN site. A special thanks to Stefan Cullmann for the enhancements to the xml generation code. DotNetNuke® is a registered trademark of Perpetual Motion Interactive Systems Inc.